Tsumago is an old post town steeped in history. Set along Kiso Valley in the southern corner of Nagano Prefecture, the town was a main stop-off point for travellers along the Nakasendo route which was one of the main roads to travel by foot between Tokyo and Kyoto during the Edo period. 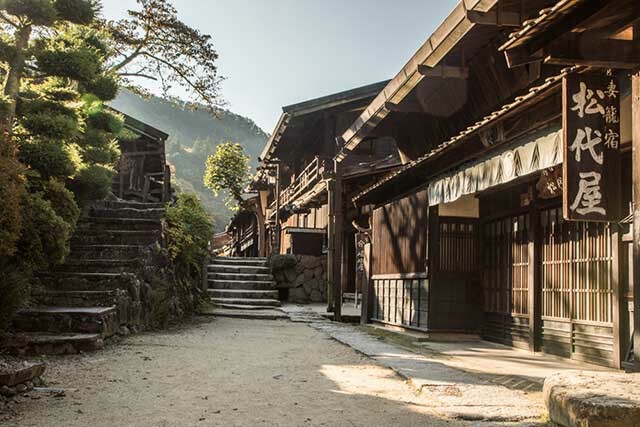 One of the most authentically preserved of the post towns in the Kiso Valley, Tsumago takes visitors 300 hundred years back in time with its pedestrianised street boasting a notable lack of telephone wires and vending machines, a rare find in modern day Japan. Tsumago was the first of the post towns along the Nakasendo to start a preservation program, which started in the 1970s. Terashita Street, the main route through the town, is now lined with restored wooden buildings which house shops, restaurants, and traditional guest houses where you can find everything from local sake and Japanese sweets to soba restaurants and pubs. 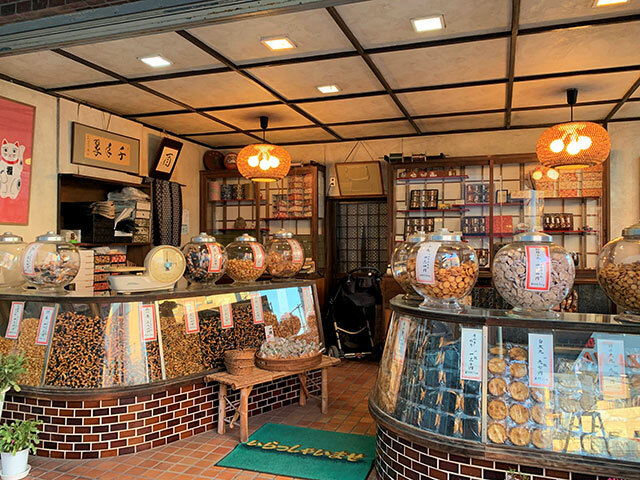 The must-try snacks on a trip to the Kiso Valley are kuri (Japanese chestnuts), whether roasted in their shells or creamed into a delicious cake, and gohei-mochi, a sweet and savoury sticky rice cake served up on a stick. On entering the town you’ll come across the kosatsuba, which was used as the official bulletin board when the Nakasendo route was in use. The board has been reconstructed to give an idea of the types of laws and rules that were clearly stated for travellers passing through, including the likes of banning Christians from the route. Like many of the post towns, Tsumago was home to a Honjin and Waki-honjin which were high class inns reserved solely for the most superior of guests travelling the Nakasendo way. 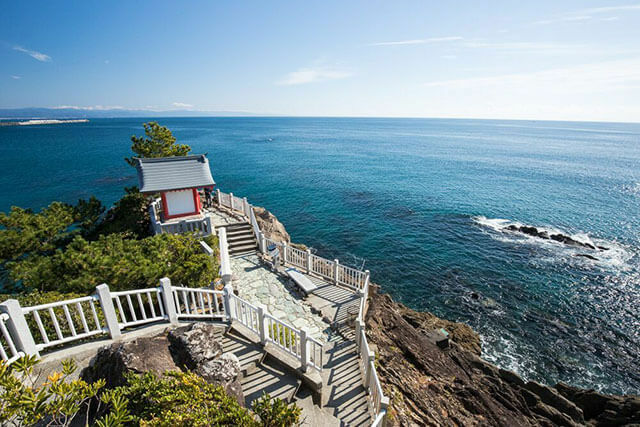 Tsumago’s Honjin and Waki-honjin are some of the best preserved along the route and both house museums consisting of old documents and traditional clothing that can be seen for a 700-yen visit around the sophisticated buildings. 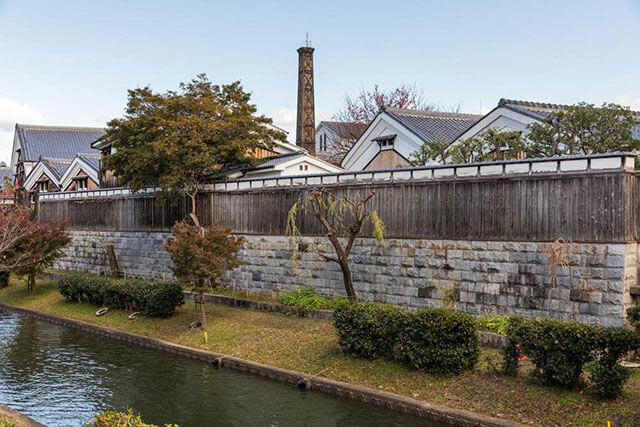 Along the main stretch there are several buildings which were home to important people back in the Edo period. As well as taking a look inside these fascinating old houses, don’t hesitate to slip off down the web of side streets along Terashita Street. Tucked away in the hillside you’ll find Kotoku-ji Temple which was built around 1500 and is believed to have been frequented by passing travellers. A little further east lies the Enmei-jizo statue. While it may look less impressive than the temples, legend has it that visiting the statue can extend your life, which explains the crowds of suspicious visitors journeying up to the humble statue. The surrounding forests and mountains of Tsumago can be easily enjoyed from the town itself. 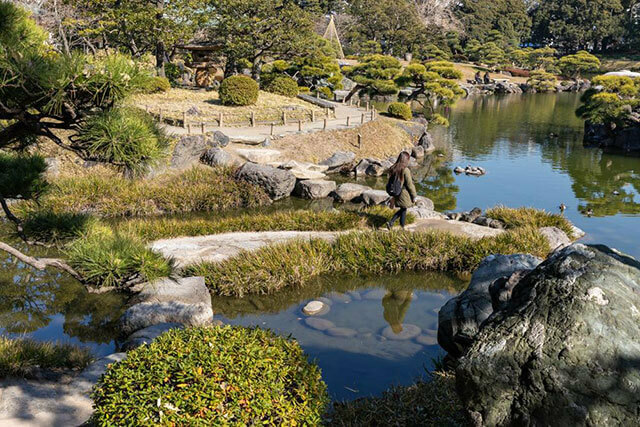 However, to really delve into the Kiso Valley nature and step into the shoes of travellers from old times it’s worth dropping your luggage off at a locker in the parking area or the Tourist Information Centre and walking a part of the Nakasendo route. If you’re just looking for a couple of hours of walking, the route between Tsumago and Magome is one of the most hiked parts of the route. The pretty stone path winds through woodland for around seven kilometres bringing you out at Magome.